Are you looking for perfect lighting conditions, optimal acoustics and a visually attractive design for you and your employees? 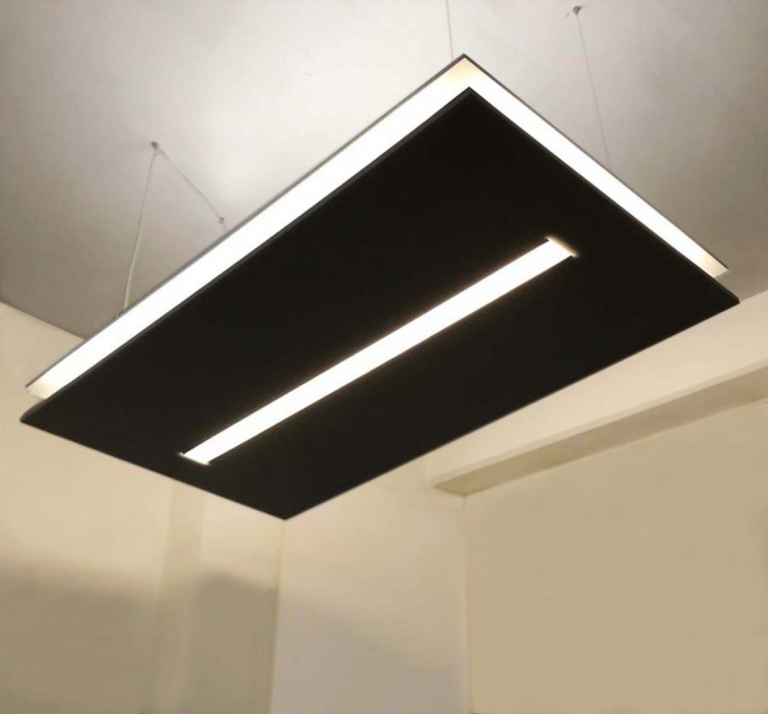 With its AcousticLightSails product line, movis-design offers the perfect complement to movis-design wall installations. Because of the many requests, we took Installation One, which was originally designed for the conference room of Aspen Institute Germany, in our standard portfolio. The modules are delivered with a 1:1 rigging-plot that allows you to easily attach the Leaves to the wall. 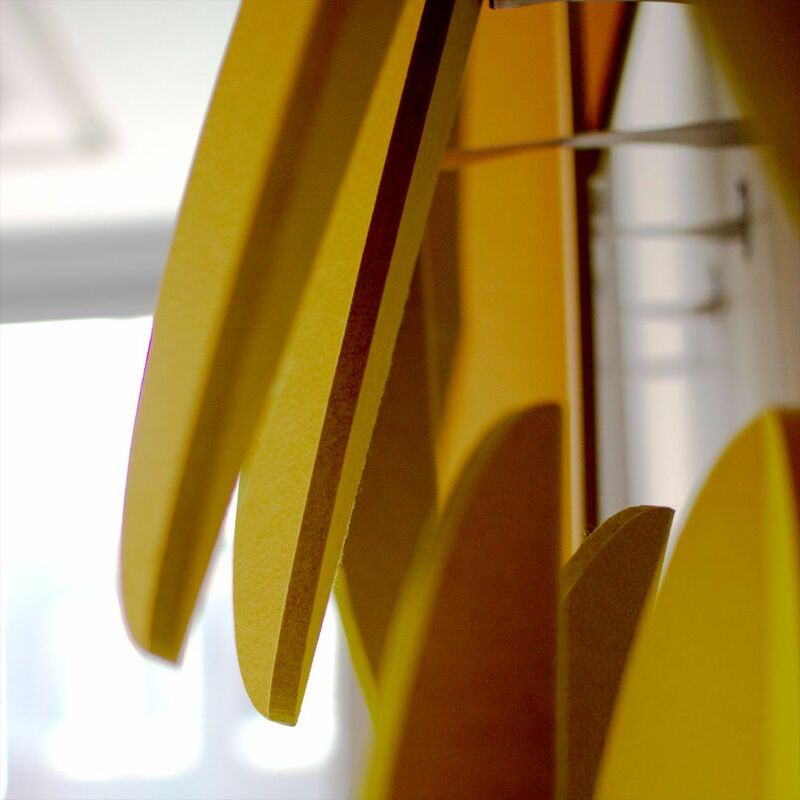 Installation No 1, as all of our installations, is designed by Petra Seebauer, chief designer and founder of MOVIS Design. 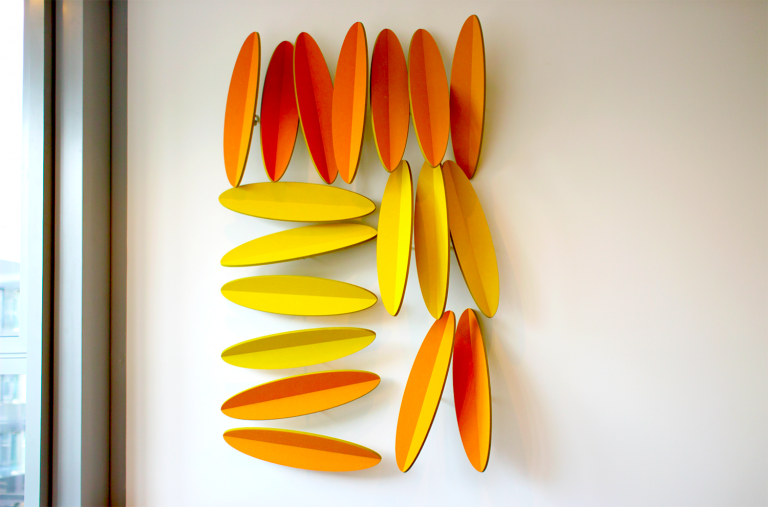 Installation One, including 19 MOVIS Leaves (may differ from the picture above), corresponding brackets and a 1:1 mounting-diagram is now available for $ 3,350. After working for more than 20 years as a product and set designer and as a freelance artist, creative director and founder Petra Seebauer took the courageous step of founding MOVIS in 2015. A design workshop, the project combines her life experiences, her interests and her passions. We spoke about what led her to take this step and why she believes the role played by small workshops is vital and indispensable for Europe’s identity.